Let’s face it. 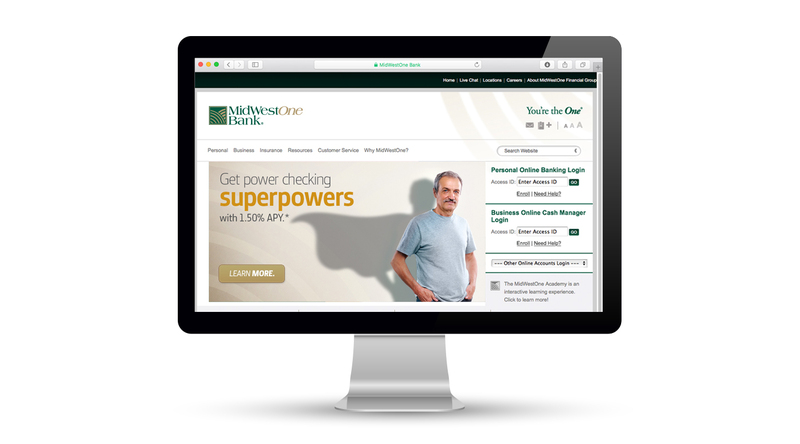 Annual percentage yields and ATM fee refunds aren’t exactly the most exciting topics – especially when you’re on Facebook or surfing the web. 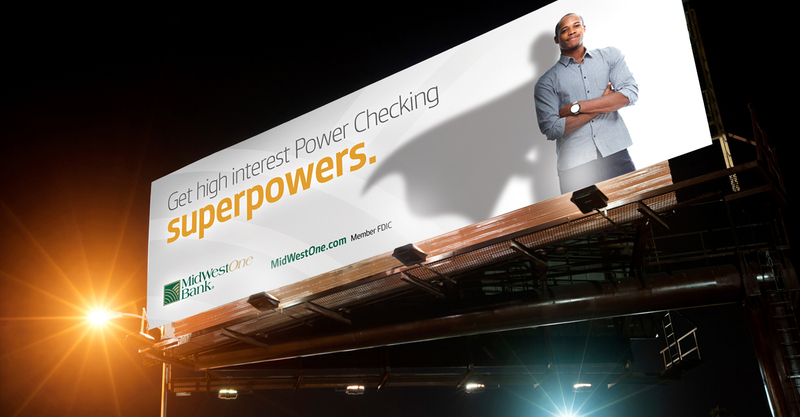 So when MidWestOne Bank asked us to create a campaign to promote its Power Checking account that comes with a great interest rate, we knew the creative really had to shine. 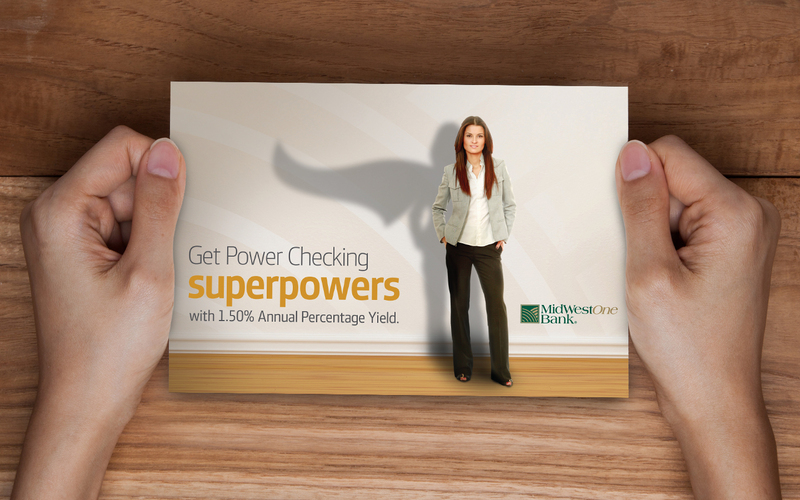 Naturally, we turned to supernatural powers! 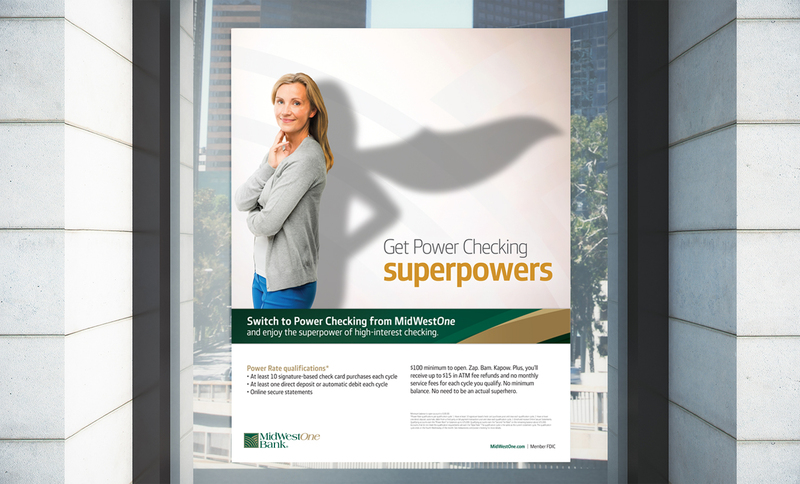 The Superpower campaign emphasizes the customer benefit and stands out in the onslaught of digital ads with simple and engaging creative. Mission accomplished!